Ryan Reynolds dropped by Conan tonight to debut the red band trailer for Deadpool — because if you’re going to give Deadpool a proper introduction, you’re going to do so with a respectable amount of violence and profanity. After months of promising an R-rated, faithful adaptation of beloved comic book character, Reynolds seems to be delivering. 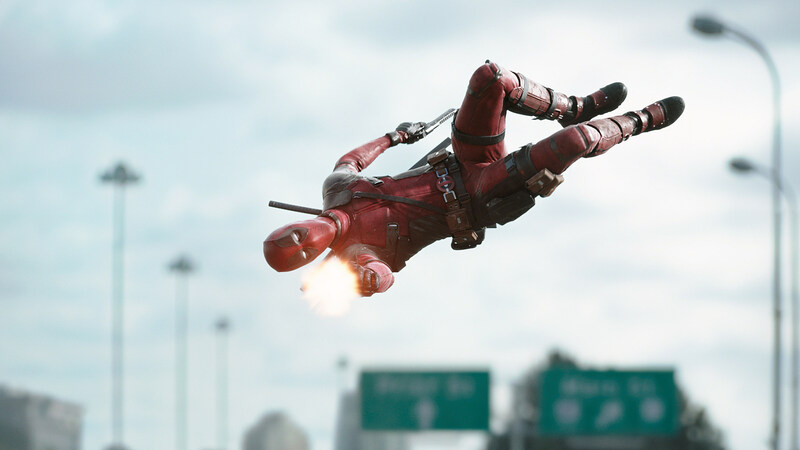 Though Fox never released that Comic-Con footage online, our first legit look at Deadpool does not disappoint. Violence? Check. Mayhem? Check? Exceptionally dark humor? Double-check. And while there’s only so much you can get away with on the air during Conan, the bad words fly like bullets in the first official trailer. And, if that’s not enough, we pulled some GIFs and screenshots of the best moments from the Deadpool trailer to share with you. The green band trailer for Deadpool will debut in theaters this week with Fantastic Four, giving audiences a more family-friendly intro to the Merc With a Mouth — but this red band trailer is definitely preferable. Deadpool also stars Morena Baccarin as Copycat, Gina Carano as Angel Dust, Brianna Hildebrand as Negasonic Teenage Warhead, T.J. Miller as Weasel and Ed Skrein as Ajax. The film arrives in theaters on February 12, 2016.